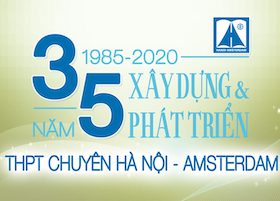 Hanoi – Amsterdam, with an average score for three university entrance subjects of 20.75, deserved its 1st rank. The ranking table recognized private high schools including Luong The Vinh (ranking 4th with 18.09 points). What about Kim Lien, Chu Van An, Tran Phu, Phan Dinh Phung, Nguyen Gia Thieu, Yen Hoa and Viet Duc? 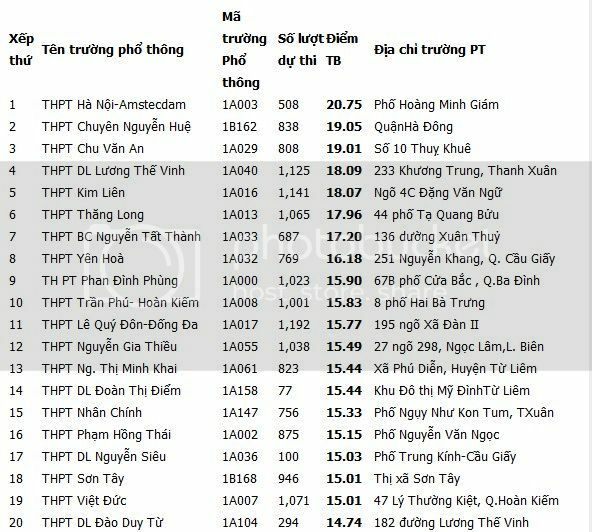 Recently, the Hanoi Department of Education and Training has publicized “Ranking of university entrance exam results of Hanoi students”. Below are remarkable figures: Invincible Hanoi – Amsterdam: average score for three university entrance subjects of 20.75 With their time-honored learning traditions and students having good academic results, Hanoi – Amsterdam High School had 508 students sitting the entrance exams to university and they had an average score for three subjects of 20.75, taking first place in the table. Nguyen Hue High School came in second place with 19.05 points though 803 of their students took the exams. Chu Van An ranked 3rd with 19.01 points.